The Ferrari 410 was made to be a modern coach built car with a powerful and robust 4.9 liter, 400-bhp engine of a race-derived Lampredi V-12 variety. This car was made in May of 1959 and had a chassis number of 1305. It was the 25th 1959 Ferrari 410 to be created and the fourth of 12 series III models to ever be produced. It has a number of impressive features like many of the bespoke styles of Ferraris did. This included the competition-style headlights that were covered, one-off headlights and unique rear fenders. 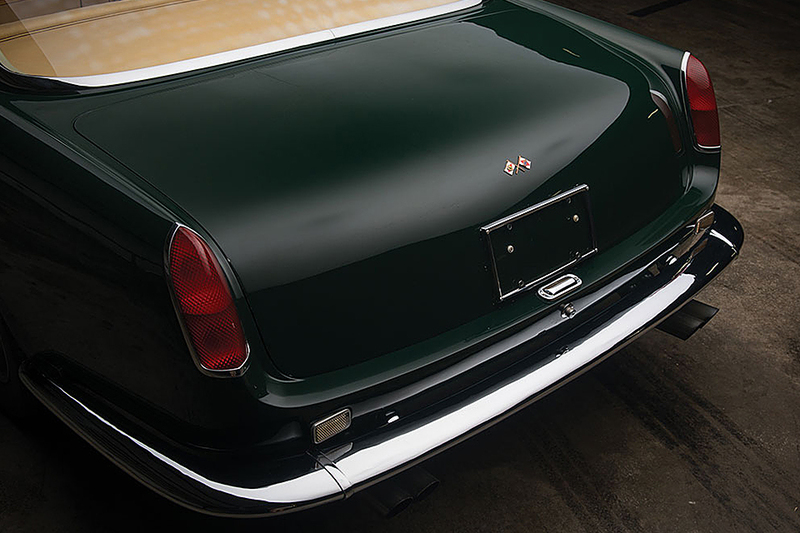 This car was given a fill restoration in the year 1975 and had a yellow stripe on a green background painted on that completed the look and gave the Ferrari the iconic color that it is still seen in, even to this very day.